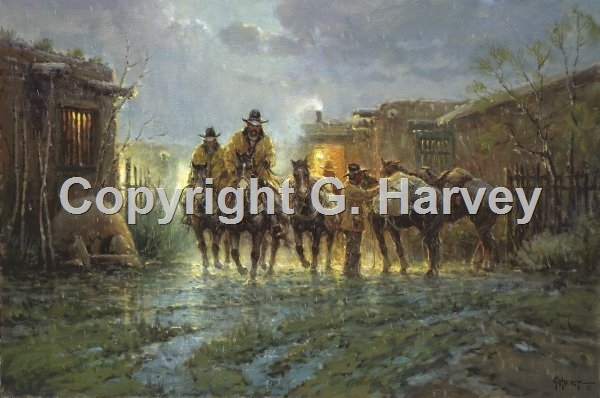 G. Harvey has an uncanny way of painting the most mundane moment in a cowboy's existence and making it exciting to the viewer. Just the thought of starting out early in the morning with little more than his bedroll, beans for dinner, a slicker to keep him dry and his best friend, his horse, would put fear into many city dwellers. But, that is the life of the American cowboy and it's that life Harvey shares with those who love his work.